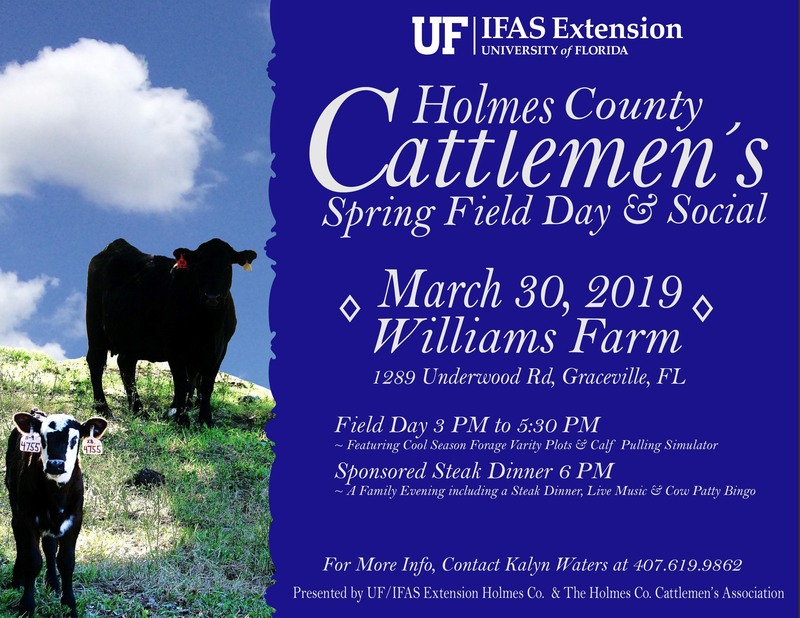 UF/IFAS Extension Holmes County and the Holmes County Cattlemen’s Association will host their Spring Cattlemen’s Field Day and Social on March 30, 2019 at the Williams Farm near Poplar Springs. The Field Day will be from 3 PM to 5:30 PM with the Cattlemen’s Social to begin at 6 PM. The event will continue with a Cattlemen’s Social. The steak dinner will begin at 6 PM following Field Day. Steaks will be provided by the Holmes County Cattlemen’s Association. Other activities include Cow Patty Bingo, a silent auction and live entertainment provided by Paula Rekow, a singer/songwriter who features songs of the old west, as well as original music inspired by her life on the ranch. 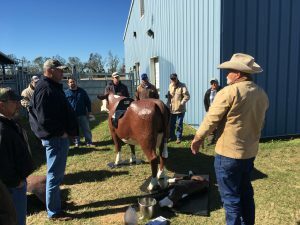 For more details and information please contact Kalyn Waters, UF/IFAS Extension Holmes County at 407-619-9862.